Malaysia is attracting Islamic investment funds from the U.S. seeking higher returns in Asia as growth in developed economies slows. “Emerging markets is where we see global growth going for the next couple of decades and the source for a lot better opportunities,” Bryce Fegley, chief investment officer at Saturna Sdn., the Malaysian unit of Saturna Capital LLC, the biggest Shariah-compliant stock fund in the U.S., said in an interview on Aug. 10. Saturna’s expertise in Islamic finance “steered us to Kuala Lumpur as opposed to Singapore, Hong Kong or other emerging markets,” he said. Saturna, the Bellingham, Washington-based company that oversees $2.7 billion of assets, set up Saturna Sdn. in March and obtained an Islamic finance management license in May, Fegley said. Franklin Templeton GSC Asset Management Sdn. got approval to offer services that comply with religious principles in January, according to the Malaysian Securities Commission’s website. The 14 licenses issued by the Malaysian government allowing international companies to form Islamic fund-management businesses give tax exemptions until 2016. 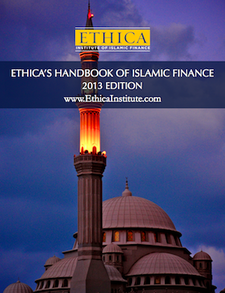 Foreign-ownership rules have also been eased in the global financial hub for services that meet Shariah guidelines. Growth in developing economies in Asia will quicken to 9.2 percent this year, the International Monetary Fund said on July 7, three times faster than advanced countries. The U.S. economy may expand 3.3 percent after shrinking 2.4 in 2009, according to the Washington-based lender. Islamic law bars funds from investing in industries such as gambling, alcohol and banking services that don’t adhere to the religion’s ban on interest. Companies with debt exceeding 33 percent of equity or accounts receivable of more than 45 percent of total assets are deemed as non-Shariah compliant, said Fegley. The Dow Jones Islamic Market World Index of stocks, which has a market capitalization of $12 trillion, has climbed 10 percent in the past 12 months, while the Dow Jones Global Index gained 9.3 percent. Asia’s accelerating growth is also encouraging HSBC Holdings Plc and Standard Chartered Plc to set up Islamic units in Malaysia, the world’s biggest market for sukuk and home to more than 16 million Muslims. 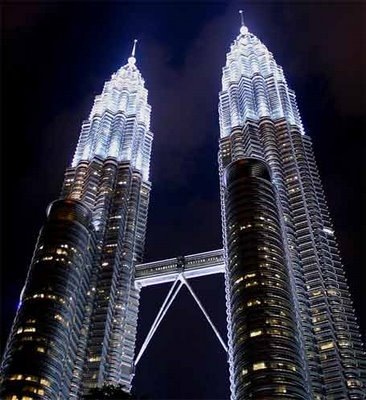 Funds that have obtained Islamic asset-management licenses in Malaysia include Nomura Islamic Asset Management Sdn., OSK-UOB Islamic Fund Management, Reliance Asset Management (Malaysia) Sdn., and Aberdeen Asset Management Plc, according to data on the Securities Commission’s website. Overseas investors can own as much as 70 percent of Islamic investment banks and sellers of takaful, or insurance that complies with religious tenets, up from 49 percent. “Malaysia has a comparative advantage because the Islamic finance infrastructure was in place much earlier than other countries,” said Scott Lim, chief executive officer of Kuala Lumpur-based MIDF Amanah Asset Management Bhd., which oversees the equivalent of $670 million including Shariah-compliant equity and debt funds. “Malaysia has a big Muslim population looking for Islamic instruments compared to Hong Kong and Singapore, where there is no such demand,” he said in an interview from Kuala Lumpur on Aug. 13. Malaysia’s $93 billion of Shariah assets account for 19.6 percent of the country’s total banking industry, according to Bank Negara Malaysia’s website. The nation has 279 billion ringgit ($87 billion) of outstanding Islamic debt, according to data compiled by Bloomberg. Global sales of sukuk fell 28 percent to $7.9 billion so far this year, according to data compiled by Bloomberg. Asian issuers sold $5.5 billion compared with $8.1 billion in the same period a year earlier. The government began a 230 billion ringgit, five-year development plan on June 10, which may revive offerings, according to Malaysian rating company RAM Holdings Bhd. The yield on Malaysia’s 3.928 percent note due June 2015 rose five basis points to 2.84 percent today and reached 2.79 percent on Aug. 13, the lowest level since the securities were sold in May, according to prices from Royal Bank of Scotland Group Plc. The difference between the average yield for emerging- market sukuk and the London interbank offered rate narrowed three basis points on Aug. 13 to 398, according to the HSBC/NASDAQ Dubai US Dollar Sukuk Index. The spread has narrowed 69 basis points this year. Shariah-compliant debt returned 9 percent this year, according to the HSBC/NASDAQ Dubai US Dollar Index, while debt in developing markets gained 12 percent, JPMorgan Chase & Co.’sEMBI Global Diversified Index shows. Saturna Capital started the Amana Developing World Fund in the U.S. in September to invest in global emerging-market Islamic assets. The company bought Malaysia’s Alpha Asset Management in March and changed the name to Saturna Sdn. Saturna Capital manages Islamic funds including the Amana Income Fund, Amana Growth Fund and the Amana Developing World Fund. Amana Income, which invests in dividend-paying corporations globally, gained 5.6 percent annually over the past decade, compared with the 0.8 percent drop in the Standard & Poor’s 500 Index over the same period, according to the company’s website. “We’re all seeing that in the developed world there are major structural issues, demographically, with politics and with macro-economic factors that are really causing those economies to stagnate,” Saturna’s Fegley said. “It’s partly a diversification of our business interest” launching into the Malaysian market, he said. Dow Jones Indexes, a leading global index provider, today announced that it has been named "Most Outstanding Islamic Index Provider" by the Centre for Research and Training (CERT) in collaboration with Messrs. Hisham, Sobri & Kadir (HSK), the Association of Islamic Banking Institutions Malaysia (AIBIM), the Malaysian Takaful Association (MTA) and the International Institute of Islamic Finance (IIIF). The objective of the award is to honor and appreciate Dow Jones Indexes’ efforts and significant contribution in developing the Islamic Finance sector. "Our Dow Jones Islamic Market index series has become the global standard for measuring Shari’ah-compliant equities. Market participants world-wide highly appreciate our leadership and commitment to providing objective, comprehensive and reliable Islamic indexes," said Michael A. Petronella, president, Dow Jones Indexes. "This award bears yet again testimony to Dow Jones Indexes’ cutting-edge indexing initiatives for the Islamic Finance market space." The award was issued at the Kuala Lumpur Islamic Finance Forum (KLIFF), which is an annual event hosted by CERT in collaboration with HSK, AIBIM, MTA and the IIIF. 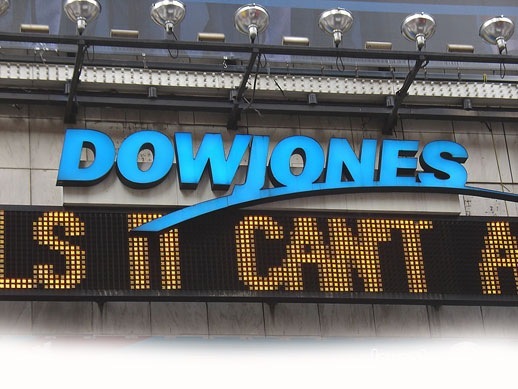 In the past seven years, the Dow Jones Islamic Market index series has won 21 industry awards by organizations, research institutions and magazines around the world; among them are the International Islamic Finance Forum, the Kuala Lumpur Islamic Finance Forum, the Islamic Center of Southern California, Global Finance magazine, Islamic Business & Finance magazine, Islamic Finance News and Incisive Media. The Dow Jones Islamic Market Indexes were introduced in 1999 as the first indexes intended to measure the global universe of investable equities that pass screens for Shari’ah compliance. With more than 100 indexes, the series is the most comprehensive family of Islamic market measures and includes regional, country, and industry indexes, all of which are subsets of the Dow Jones Islamic Market Index. An independent Shari’ah Supervisory Board counsels Dow Jones Indexes on matters related to the compliance of index-eligible companies. To determine their eligibility for the Dow Jones Islamic Market Indexes, stocks are screened based on their industry type and their financial ratios. Excluded are companies engaged in the following lines of business: alcohol, tobacco, pork-related products, financial services, defense/weapons and entertainment. Also excluded are companies for which the following financial ratios are 33% or more: debt divided by trailing 24-month average market capitalization; cash plus interest-bearing securities divided by trailing 24-month average market capitalization; and accounts receivables divided by trailing 24-month average market capitalization. There are currently more than 150 licensees with more than US$7 billion in assets linked to the Dow Jones Islamic Market Indexes. Bank of London and the Middle East (BLME) has launched the first Shariah compliant money market fund in Europe. Using Luxembourg’s specialised investment funds law, BLME has appointed European Fund Administration (EFA) and Banque et Caisse d’Epargne de l’Etat (BCEE) for fund servicing and custody. BLME Umbrella Fund SICAV-SIF, worth over $50 million, invests in a diversified portfolio of high quality Islamic money market instruments, such as commodity murabaha (exchange contract trade), sukuk (Islamic bonds) and ijara (assets leasing). To respond to the significant market growth in Islamic investments, EFA has tailored the fund to its open fund accounting architecture and transfer agency platform while offering specific training to a dedicated team. BLME is an independent UK wholesale Shariah compliant bank based in London authorised by the Financial Services Authority. It offers innovative Islamic investment and financing products to businesses and high net-worth individuals in the European, the US, South-East Asian and Middle East and North Africa regions. EFA is an independent company specialised in administrating investment vehicles. It manages 2,700 funds units worth over €100 billion for more than 215 clients. Stocks deemed to comply with Islamic law delivered positive returns during the second quarter of 2009 according to Standard & Poor’s, the world’s leading index provider. Alka Banerjee, Vice President Standard & Poor’s Index Services said: "2009 has been a turbulent year for equity markets, however many indices are still delivering positive returns as certain sectors rally despite the downturn. "In particular, the S&P Global Benchmark Shariah Index Series has benefited from the recent boost in healthcare and energy stocks. Ironically however, whilst Shariah investors benefited from the indices’ low exposure to financials last year, as they generally do not comply with Islamic law, they did not benefit from the rally in the conventional financial sector over the last quarter." 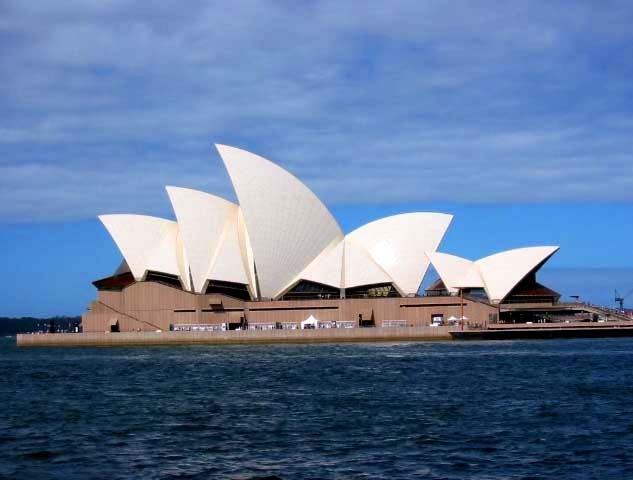 Australia’s LM Australian Alif Fund continues to service untapped global demand for a Shariah compliant, currency protected investment product managed by an experienced, credible Australian funds manager. The fund is managed by LM Investment Management Ltd (LM), a specialist Australian income funds manager operating internationally from its six offices on the Gold Coast, in Sydney, Hong Kong, Auckland, London, and Dubai, currently with sources of new business inflows from beyond 32 countries. The LM Australian Alif Fund leverages off LM’s eleven year track record and takes advantage of Shariah compliant investment opportunities throughout Australia’s diverse property and business markets, with assets selected on the basis of performance and integrity. The fund is endorsed as Shariah compliant, with signed fatwa from the Shariah Supervisory Board, comprising four eminent globally renowned scholars. According to LM Chief Executive Peter Drake, the LM Australian Alif Fund benefits from "Australian only" assets, and the soundness of the underlying fundamentals of the Australian property market. "Unlike the rest of the world, Australia has not, and is not, experiencing large declines in values across its property markets. There has been minimal movement up or down, thus presenting attractive, alternative investment opportunities for global investors." According to Drake, the fund’s global appeal is further supported by the fund’s "uniqueness" and "untapped" global demand. 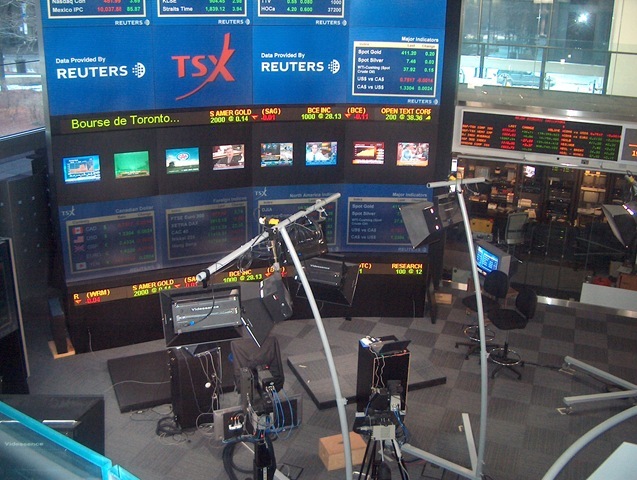 Turns out, the Canadian stock market is a good place for Islamic investors. On Wednesday, Standard & Poor’s launched the S&P/TSX 60 Shariah Index, which is essentially the S&P/TSX 60 index stripped of companies that do not meet Shariah principles that keep investors away from interest-charging companies (banks), pork producers, alcohol producers, casinos and tobacco companies. The good thing about the Canadian blue chip index is that, apart from banks, there isn’t a whole lot of these no-no companies around. No tobacco. No casinos. No alcohol. No pork. Bahrain-based Robeco Middle East has announced that it will be launching one of the world’s first Islamic water funds. The launch will be in association with their boutique SAM, one of the world’s leading asset managers in the field of sustainability investments, and in conjunction with Gatehouse Bank, one of the leading Islamic banks. 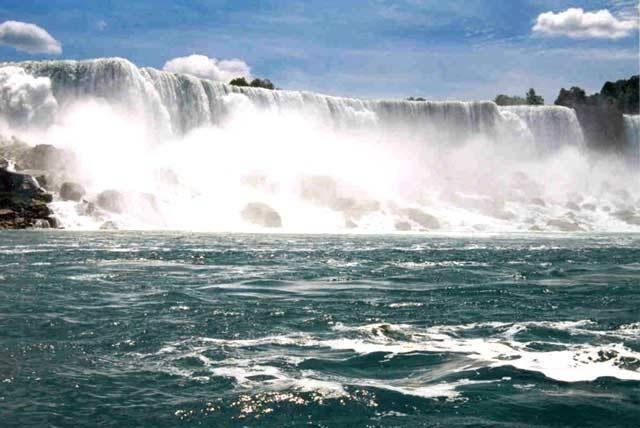 It will offer, on a global basis, the first-ever Sharia-compliant investment strategy in the area of water. This investment strategy offers professional investors with a long-term investment horizon the opportunity to participate in the worldwide growth of forward-looking, sustainability-oriented companies involved in the entire value chain of water, while adhering to Sharia norms.